Extr-y, extr-y! Read all about it! This here is a very special episode of Cutting Room dedicated to some fast approaching things we can’t possibly wait to share with you via a monthly print schedule. Most of them are happening at the Fonzie of local theaters, Film Streams (hit this link for all tickets and info), but one of them is a game-changing crazypants major life event! I may be overselling that. Let’s light the tires and burn this pig—that’s a phrase people say, right? First up, on Oct. 25 at 7 p.m., Film Streams will partner up with Lutheran Family Services to screen Resilience: The Biology of Stress and the Science of Hope. The documentary explores research in to the lifelong trauma of child abuse. This important film will be followed by a panel discussion of trauma experts, which is particularly great because the unsettling nature of this subject causes many to avoid it. And that’s, you know, the exact opposite of how to handle difficult, serious matters that affect the innocent. So, thanks to Film Streams and Lutheran Family Services for having the discussion too many of us don’t because we’re wimps. On Nov. 5 at 7 p.m. a certain woman will be attending a screening of Certain Women. 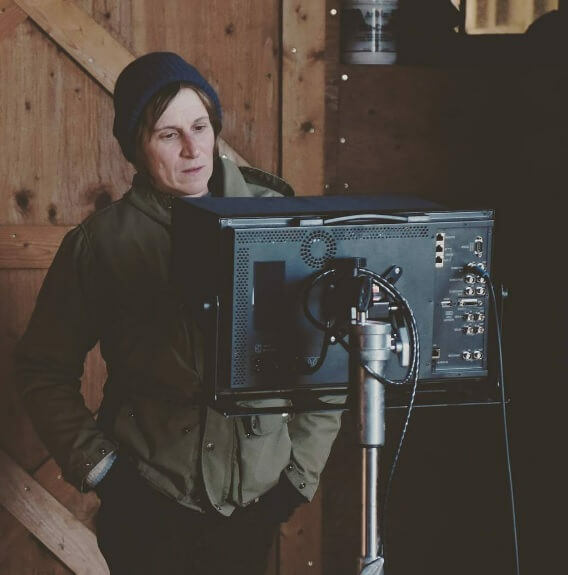 Super-awesome-wow director Kelly Reichardt will be at the Ruth Sokolof Theater to discuss her latest film, which is an ensemble featuring Michelle Williams, Kristen Stewart and Laura Dern, all of whom are complete and total bad-asses. This is one of those events that Omaha is only lucky enough to have because Omaha is lucky enough to have Film Streams. I legit can’t believe we’re getting Reichardt here for just a regular ole screening. You know, like you do, just hosting a supremely rad indie director because why not? Finally, on a personal level, really big news… Next week (Friday, Oct. 26) Movieha! is back! We wasn’t dead, we was just playin’ possum! Fresh off of an extended, totally unintentional hiatus for reasons that were none good (but dontchu worry ‘bout them none), Matt Lockwood and I will be back chatting up movies, rambling nonsense at each other, and potentially incorporating a video component before too long here. We have learned almost nothing since last we spoke, but if you have any suggestions for things we should do now that we’re re-podcasting, please speak up by dropping a line to me at film@thereader.com. It’s good to be back in the saddle, y’all.